As Intermittent Fasting rises in popularity, so do the misconceptions. Many mistake Intermittent Fasting for a diet when it is more of a meal-timing plan. Although the term “fasting” can be intimidating and bring up visions of a delirious Tom Hanks yelling “WILSON!” it is much easier than you might expect. To put it simply, you would focus on a specific period of time as your food or calorie intake period. Especially as you can start out small and work your way up to a longer period of fasting. A popular timeline, for example, is the 16/8 method, where you would fast for 16 out of 24 hours and fit all of your meals into the remaining 8 hours. Now, you might be thinking, why put yourself through a state of hunger? How could this benefit me? Actually, Intermittent Fasting can have both Physical and Mental benefits. Your last meal before a fasting period is absolutely crucial. We highly recommend eating something high in fiber, as this will give you a more satiated feeling and avoid the stomach rumbles. 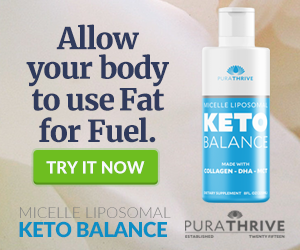 As well, you should include something high in fats since they will take longer to digest and allow fatty acids to leak into your system, producing ketones for energy. This will help make your fasting period a bit easier. Heads up ladies – due to your reproductive abilities, your bodies “survival” response causes more aggressive feelings of hunger. Once you get more comfortable, you can start working your way up to 18-20hour fasting. This would look like 18hour fast – 6hour eating window or 20hour fast – 4hour eating window. Keep in mind, the longer your fast, the more focused you will feel and the more beneficial your results will be. Pro Tip: You can actually drink black tea or coffee during a fast. As long as you do not include any sweetener or cream, it is perfectly safe. In fact, caffeine supports your fast by increasing fat loss and speeding up cellular rejuvenation. Here, at PuraTHRIVE, we prefer to take care of our insides first. Since fasting can reduce the gut mucosal layer in our stomach, breaking your fast with 4-6oz of collagen-rich bone broth or 1tbsp of our Micelle Liposomal KetoBalance, will help to restore your gut. Coming out of a fasting period, your body will be eager to absorb all nutrients provided so ensuring that you get the right combinations to increase your benefits is important. While you can combine carbs & protein or fats & protein, we recommend avoiding mixing fats with carbs. In the spirit of self-improvement, you are probably wondering when it is best to workout. Even though you can workout at any point and still receive many benefits, there are 2 optimal times to workout. First thing in the morning, mid-fast. At this point, you are still full of strength and stamina. 2. Right before breaking a fast. This timing will allow you to burn the most fat but performance may decline due to physical exhaustion. Once your fast is broken, all blood will be directed to your digestive organs. Working out at this point would cause your body to pull blood from these vital organs, to be used in your extremities and therefore you would not be absorbing all the nutrients that you could be. Click here to learn how Collagen can help with muscle growth! Starting out a new health regime can be nerve-wracking so don’t hesitate to reach out to our team to start a healthy conversation today.